Fiction writing has largely taken a back seat since he started placing poems in literary journals, though quite a number of short stories are tucked away in a box somewhere. Maybe one day they’ll all resurface. However, one story, ‘The Promised End’, did achieve publication in nth position online journal (now defunct, we think) in the early 2000s. 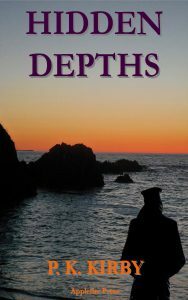 More significantly, though, his novella aimed at readers of 9-13, entitled ‘Hidden Depths’, appeared on the kindle platform in 2016 through Applefire Press. It’s a creepy tale about a young lad who is foisted onto a relative for a weekend while his parents are away at a wedding. Although Uncle Jim knows a lot about the sea, and the people who live on or by it, neither he nor the boy are prepared for the strange goings on while they are together.